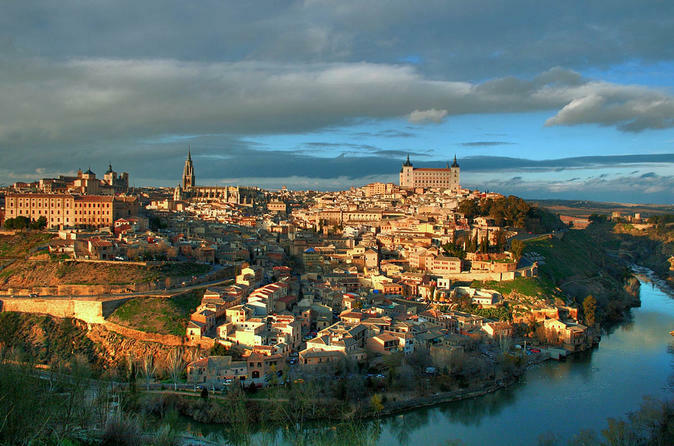 Book this 5-hour tour from Madrid and discover the amazing city of Toledo. Hop on an air-conditioned coach and learn all its history with the help of a professional guide. Upon arrival you will start with a walking tour of the city. Optional combinations and schedule as published. Upgrade your experience and enjoy a panoramic tour of Madrid or flamenco show. Meet your guide at the starting point and hop on a coach towards Toledo. Upgrade your experience and visit the town of Madrid's city centre by bus with a live guide who will be happy to discover with you the most importan details of the Capital. If you prefer to watch a unique show, book the flamenco show option and learn the secrets behind this magical and traditional dance.